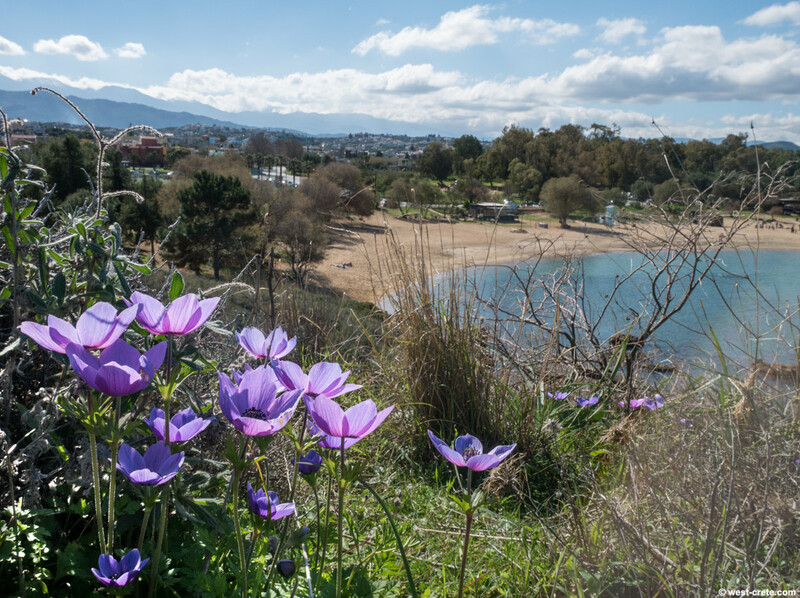 Anemones by the beach of Agii Apostoli. Note the two people sunbathing on the beach. It was a cool day but very clear light so the sun was strong and warming.